How your profile looks will change, too. 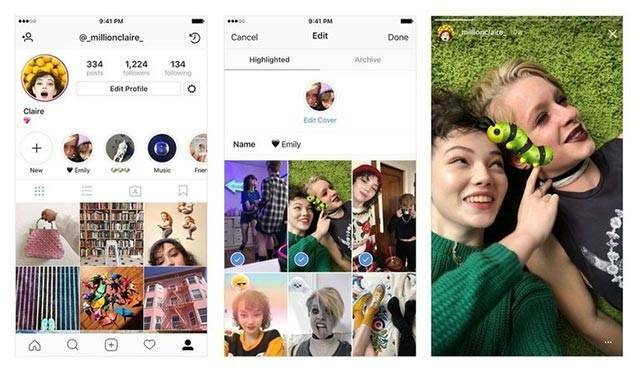 If this feature reminds you of last year's Snapchat launch of its "Memories" section, you're not wrong. It's a similar concept, and if you enable the "Archives" section on Instagram your stories can live there along with the rest of the posts you decide to save. Any stories you decide to post to your profile will now go on top of it—giving your profile a *major* design update. When the story archive is available for your specific account, you'll get a notification inside the app. This is a big step for Instagram, and especially useful for brands, influencers, and celebrities who want to share their content for more than a limited time. Imagine getting to witness Anne Curtis or Pia Wurtzbach's stories forever!